As the organizing partner of three March 11 sessions about innovation in the Far East, GeekPark is proud to be deeply involved in bringing the top trending Chinese tech companies to debut at SXSW 2017. Anyone interested in the Chinese Market and the Chinese mobile internet won’t want to miss exciting panels on March 11 at the JW Marriott, Salon C featuring speakers from GeekPark, MobVoi, Zhihu, Hover Camera, Baofeng, Wangxin Technology, Philm, and Mobike. 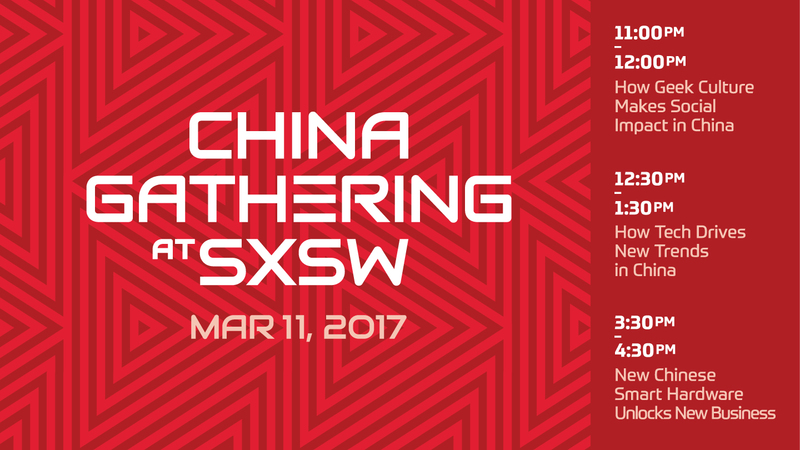 Additionally, China Gathering will be at the SXSW Trade Show. Some of the brightest Chinese tech companies will be showcasing their innovations on Aisle 1000 at Booth 1029. Make sure to stop by and visit. May the force of geeks be with you. See you then!